We offer the highest quality installations for low maintenance, weed free and slip resistant concrete driveways in Lincoln. Decorative-concrete is the original alternative to block paving and cannot be beaten on price and durability. There are literally unlimited colour and pattern combinations to choose from, just take a look at our gallery for some design ideas. You’re only restricted to your imagination! 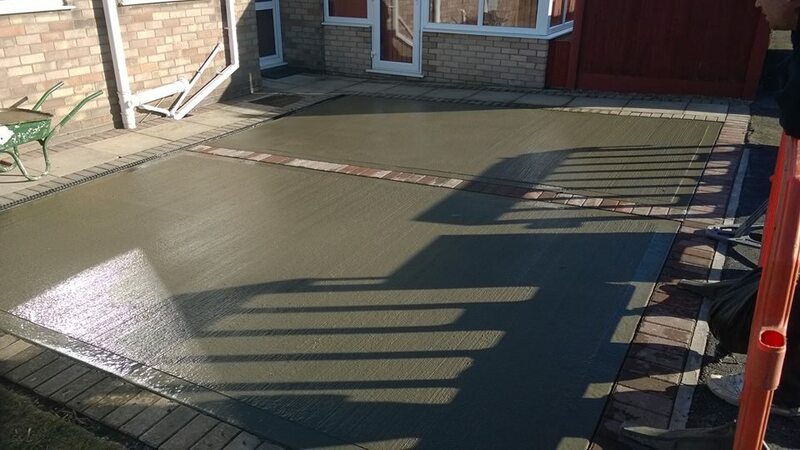 We ensure that our concrete driveways in Lincoln are above and beyond what is expected of us. As any skilled concrete layer ought to do, we make sure that we use top quality concrete mixes for your concrete driveway. With the right quality mix you’ll be able to enjoy a smooth driveway without any apparent cracks or shifts in between the pieces we put across the area. We also make sure that the concrete joints we lay are correctly positioned for ultimate strength and durability so that your car can experience countless drives up to your home. We have a wide range of decorative patterns from which you may choose and a lovely collection of colours for you to add to your pattern. This way you will be able to beautify your house within a matter of days in a manner that will make a huge difference in the world.